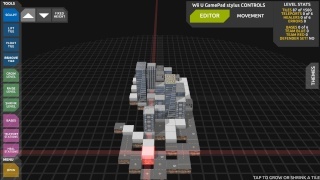 Preview: A First Look At Cubemen 2 For The Wii U eshop! Cubemen 2 is to tower defense games what Call of Duty is for the FPS genre! The game just oozes with quality and during just our first 25 minutes of the game we enjoyed a few single player games and an online match and were mostly pleased with our experience! 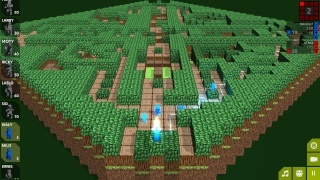 The game possesses several different modes such as skirmish and defense. as well as a ton of custom made maps. It was very difficult to find a custom match however which was somewhat disappointing, but with the official Wii U release of the game tomorrow this issue will likely improve greatly for the foreseeable future! The map maker is also very intuitive and features a ton of options, while remaining easy to use! We urge tower defense fans to support Cubemen 2 when it releases tomorrow, because it's an extremely well crafted game! That's all for our preview of the game. Our review of Cubemen 2 goes live tomorrow so be sure to check it out and leave us a comment when it does! Re: Preview: A First Look At Cubemen 2 For The Wii U eshop! Great preview! I'm looking forward to the review of this game!